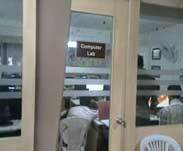 Nov 7,2013 Success of SmartCAM Turn at Superior Hydraulics Private Limited, Pune. Superior Hydraulics Pvt ltd is Pune based one of the largest Manufacturer of hydraulic hose fittings, pipe fittings, brass hose fittings, single ferrule hydraulic fittings and sheet metal hose fitting. Having CNC Turning machines and using SmartCAM over 12 months, Superior hydraulics Pvt ltd is very happy with SmartCAM success in his company. They have happily gone for SMA-Software Maintenance agreement (We call it AMC). “ I have seen at least 10 CAM software in the past, I found SmartCAM is the fastest of all. I have made over 900 NC programs till date. I am too happy to say this” says Aslam, Sr. Programmer of Superior hydraulics Pvt ltd. His love on SmartCAM can be shared with him by contacting him on his mobile phone 08928149959.
ü SmartCAM from Antech and their DNC is success in Superior hydraulics. Aug 13, 2012 Antech becomes Study centre for YCMOU Open University. 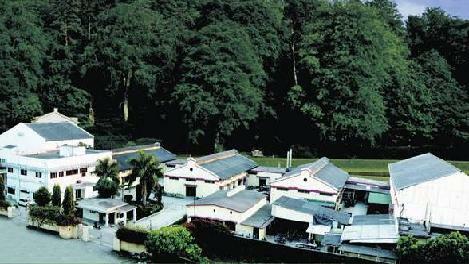 Last date of Admission 22th Aug 2012. July 13,2012 Success of ANACAM at Onida Switchgear. Onida is one of the leading manufacturer, exporter and service provider of Transformers, Servo Voltage Stabilizers, Electrical Control Panels, Motor Control Centres, Distribution Boards, Power Control Centres, Automatic P.F Correction Panels, Bus Ducts & Allied Equipments. Equipped with state-of-the-art infrastructure and backed by experienced professionals, Onida manufacture products in sync with technology that ensures optimal performance and cost. As a part of automation of programming Onida has decided to go for ANACAM – automatic Programming software for their Turret punch press. Automatic tooling and facility to import DWG files are features due to which Onida has selected ANACAM out of competition. ANACAM : A Leading and easy software for Programming CNC turret punch in Sheet metal industry. More than 30 customers from india is using ANACAM. Few of them are Crompton, Excel, Laxmi, hupen. Antech Micro Systems is Pune based company is engaged in CAD CAM DNC and Machine monitoring software from last 20 years. It has more than 2100 installations in India and abroad. Our software received many awards like FIE Foundation award for CADlink and PAR Excellance award for SHOPlink. 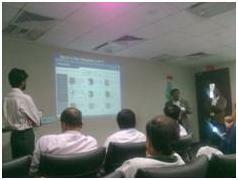 Antech supports it’s customers with their team of 50 plus engineers and Reseller partners in India and abroad. Antech Technology Institute is a state of art vocational training institute in CAD CAM CNC with Production CNC machines for practical exposure to CNC. It also runs free training programs on CNC for needy in association with Lions club international. 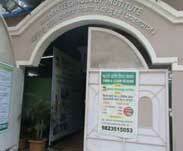 Objective of this institute is to provide skill based manpower to the industry. We train 2000 people in one year from 6 centers and wishes to expand to 1 lac skill based manpower in next 10 years from min 20 centers. Our training initiative is well appreciated by Indian industry and Ministry of Labor. And invites proposals from business for starting this activity in association with us. Proton Metal craft Pvt ltd. Is a leading manufacturer of various critical components from bars, castings and forging of ferrous & non ferrous materials. They have latest state of art CNC machines (more than 30) from well known manufacturers. It is an ISO 9001-2000 certified organization. It is headed by Mr.G.D.Lupne who has more than 15 years of expertise domain knowledge in the field. Mr. G.D. Lupne has a vision of making his unit most efficient and with world class manufacturing techniques. He is supported by his son Manish, who is a award winning mechanical engineer and joined GD. As a part of process up gradation Lupne group has decided to go for SmartCAM-world class Programming software for their Programming automation. Automatic Process plan generator and facility to import solid models are unique features due to which Proton has selected SmartCAM out of competition. SmartCAM : A Leading Process driven software for Programming CNC lathe and mill in Production environment. More than 300 customers from india is using SmartCAM. Few of them are TAL mfg, Endurance, Timex, Elecon, Wheels india and Seco. 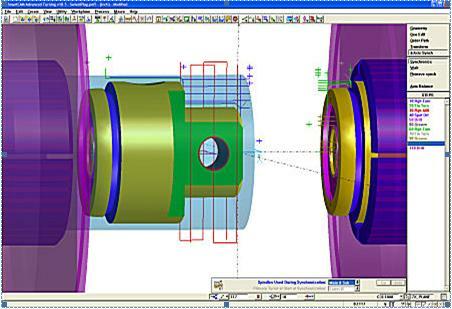 Antech : Leading supplier of CAD CAM DNC and machine monitoring software in India. More than 2200 software installations till date. We have largest vocational training institute in Pune training more than 1500 students per year in the field of CAD CAM CNC. SmartCAM is available for evalution for free. June 16, 2012 Grand opening of our CAD CAM training centre at Autocluster. Antech Career Mantra is proud to announce a joint endeavor with Auto cluster Pune for conducting various state of art training programs in 3D CAD CAM CAE and CNC. "Career Mantra Satara" our premium master franchise joined this venture. Therefore this joint venture will run in the name of “Antech Career Mantra”. Quality Policy –We Antech career Mantra want to empower people / youth to become the best they can be by upgrading their skills in CAD CAM CNC. It is our aim to ensure this by working together and listening to industry's requirements and their key objective . We pride our self on having a great supportive network of professionals with wide variety of skill to help assist in meeting training needs. Our commitment to you and our mission is to be professional flexible and great value and contains high standards to ensure we deliver excellent training every time. 1.Provide skill based training in CAD CAM, CNC and general Engineering to over 1000 of youths in span of 3 years. 2.Monitor the progress for personal growth and sourcing good jobs. a)	Providing training in CAD CAM CNC. b) Providing training to their existing manpower. Antech, Pune based leading institute in the field of CAD CAM CNC and has trained more than 4000 professionals in the field. Some of the training programs are recognized by Maharashtra state vocational board. Further there is tremendous potential for such type of centers in various district places and applications are invited from Mumbai, Nagar, Aurngabad, Baramati, Pimpri-chichwad area for such alliance. Interested investors or Govt clusters may get in touch with our head quarter. Jan 17,2012SHOPlink -antech gets Par Excellance award at Project competition 2012. For further information please send email to sales@antechmicro.com. 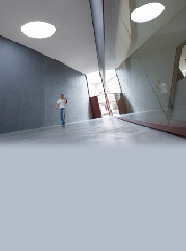 Siemens PLM Software is pleased to announce the launch of the Solid Edge Academic Program. The primary objective of this initiative is to increase the numbers and quality of new engineering and product design graduates and helping Siemens, our customers, and society address the technological challenges of the future. 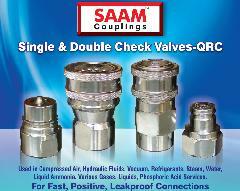 It has arrived in Indian Market as a true cost effective replacement to the general purpose CAD solutions. It gives you an unrivaled compatibility with AutoCAD by using .DWG format and uses the same command base, further to that it supports Auto lisp. It is an effective solution That offers amazing performance, helps to work efficiently, and is easy to use. ZWCAD contains powerful utilities and improvements in efficiency. The most attractive Aspect is that this rapid, powerful, and stable software program is convenient to work With. ZWCAD based on IntelliCAD platform provides with a most reliable CAD platform with amazing performance, Helps to work efficiently, and is easy to use. •	Native DWG/DXF format (Autocad V2.5 to 2009). •	Supports AutoCAD menus (.mns), toolbars, aliases. •	Supports AutoCAD commands, line types, hatches, plot styles. •	Aerial View Window is an especially helpful tool for quick navigation, with which you change views easily and conveniently. June 5, 2011 ANTECH opens Vocational training centre at Satara. Inaguration by State finance minister. 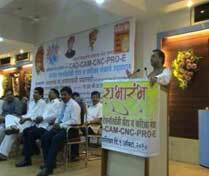 ANTECH opens Vocational training centre at Satara. Inaguration by State finance minister. If I remember well, the India Labour Report of 2007 had come out with startling facts that only 8 percent of the the Indian youth were unemployed, while 53 percent of employed youth suffered some degree of skill deprivation. There is a surplus labour-force in the agriculture sector. Now, if India has to emerge as the fast-growing major economy in the world, it will have to equip this surplus workforce with higher levels of skills and make it fit for the manufacturing and services sectors. Entrepreneurs will agree with me that with the deteriorating quality of skilled workers in companies, there is a huge demand and supply mismatch of competent manpower. There is a dearth of vocational skills, something that is not taught in schools and colleges, and companies - both small and medium enterprises (SMEs) and big - are now feeling the heat as it's affecting their production. With deficit of skills in our workforce, our industry is wasting valuable production time on training the workers on the job. Antech, Pune based leading institute in the field of CAD CAM CNC and has trained more than 2000 professionals in the field. Some of the training programs are recognized by Maharashtra state vocational board. Further there is tremendous potential for such type of centres in various district places and applications are invited from Mumbai, Nagar, Aurngabad, Baramati, Pimpri-chichwad area for such alliance. Interested investors or Govt clusters may get in touch with the undersigned for alliance. Antech Micro systems pvt ltd is well diversified group has crossed 21 years of operations. It' training wing has completed 11 years. Antech has impressive figures of 1800 software installations. 4500 students trainied in CAD CAM CNC. You are invited to visit our website www.antechmicro.com. Please suggest with your comments. Well known public sector company having a world class mega manufacturing setup near Ahmadabad having 15+ CNC decides to go for Antech’s latest wireless DNC for their plant for 10 CNCs and fastest Production Turning and milling software SmartCAM. 10 CNC machines are spread in the area of 100 mtrs in 2 plants. Wireless network with auto repeater mode of WAP is in use with the plant. Single PC with only software is interacting with all 10plus machines. Antech a leading company in CAD CAM DNC and machine monitoring projects. Having more than 1640 DNC and CAM installations in India. Reseller enquires welcome in unrepresented areas. Existing happy customer of SmartCAM advanced turning module invests in SmartCAM AMC for their all plants. Unique feature of Syn and process modeling in SmartCAM is excellent and unique one. “Using SmartCAM so long, thinking of any other software is just not required. Send your lowest quote to raise a PO, I have realised the importance of AMC as well” Says Mr.Swaminathan, Head tool room. 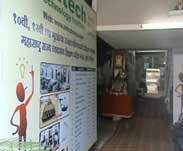 Dec 13, 2010 - ANTECH opens Vocational training centre at Satara. Inauguration by State finance minister. “If I remember well, the India Labor Report of 2007 had come out with startling facts that only 8 percent of the Indian youth were unemployed, while 53 percent of employed youth suffered some degree of skill deprivation. There is a surplus labor-force in the agriculture sector. Now, if India has to emerge as the fast-growing major economy in the world, it will have to equip this surplus workforce with higher levels of skills and make it fit for the manufacturing and services sectors. Entrepreneurs will agree with me that with the deteriorating quality of skilled workers in companies, there is a huge demand and supply mismatch of competent manpower. There is a dearth of vocational skills, something that is not taught in schools and colleges, and companies - both small and medium enterprises (SMEs) and big - are now feeling the heat as it's affecting their production. With deficit of skills in our workforce, our industry is wasting valuable production time on training the workers on the job.” Says Abhijeet Yelgaonkar, Director Antech technology institute,Satara Centre was inaugurated by State finance minister and mentioned importance of Vocational education. Dr.Yelgaonkar gave a vote of thanks. May 16, 2010 - ANTECH moves to new premises. ANTECH moves to new premises. Having world class CNC setup at Anand with host of CNC machines renews licenses of SmartCAM production Mill and Turn programming software. SmartCAM became operational actively. At ANTECH, we believe that our quality differentiates us as much from our competition as our innovative CAD CAM DNC products for design to mfg solution. Our project and training division also receives very high appreciation from executives from industry and students. Reflecting our commitment to quality, reliability and sound manufacturing processes, we are ISO 9001:2000 registered. ISO 9001:2000 is used as a business process tool that helps companies manage their businesses in a controlled manner, resulting in the production of high-quality products and services. Visit us at www.antechmicro.com for our products and services. Antech, head quartered in Pune, India develops, markets & supports innovating solutions to Engg. Industries in the field of CAD/CAM. As a part of providing solutions Antech provides highly specialized training programs in CAD/CAM / CAE/Embedded Technology. 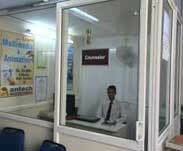 Dec 16,2013 Success of antech SHOPlink at MSS india, Nasik. ü Antech SHOPlink is answer to all this. It got implemented in MSS, Nasik. It generates various reports and calculates OEE on line.